What is a false teacher-witness-prophet? a blow-hard that doesn’t tell the truth when he testifies . . .
What about TO your neighbor? 15 “Beware of the false prophets! but underneath they are hungry wolves! Thoralf Gilbrant, ed., “4196. προσέχω,” in The Complete Biblical Library Greek-English Dictionary – Pi-Rho, (Springfield, MO: Complete Biblical Library, 1991), WORDsearch CROSS e-book, Under: “4196. Ï€ÏÎ¿Ïƒá½³Ï‡Ï‰”. In fact, we are told that if a prophet is presumptuous (proud – insolent – rebellious) and speaks a word in Adonai’s name which he wasn’t ordered (by Adonai) to do, he must die. then Adonai did not speak that word. to be held for judgment. so as to fool even the chosen, if possible. 25 There! I have told you in advance! and fills the sky to the western horizon. Told in advance – don’t go – don’t believe it . . . could it be any clearer? and masquerade as emissaries of the Messiah. if his workers masquerade as servants of righteousness. They will meet the end their deeds deserve. teachers who say whatever their ears itch to hear. People – their – themselves – their – they . . . This does not lay the blame at the false teacher for teaching that we are “little gods,” or that believers can demons inside of them, or Holy Ghost laughter, or . . . you get the point. This lays the blame squarely on the body of believers!!! A body of believers that will NOT have patience for sound teaching . . .
A body of believers that will STOP listening to the truth . . . This is not a might happen – this is a will happen – this is happening now! 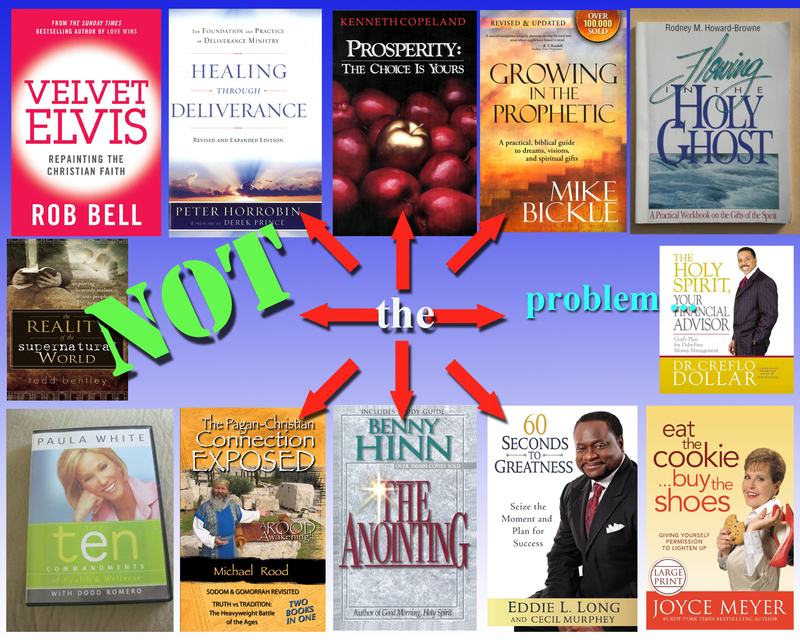 The problem is not the false teacher . . . The problem is the PEOPLE that want what they offer! who gather people around them that tell them what they want to hear! the truth of Adonai (you will die). They are not the problem, YOU are . . .
will turn aside to follow myths. gather around themselves teachers who say whatever their ears itch to hear. This entry was posted in False Teachers and False Teaching, Living life Even if . . . and tagged false, prophets, teachers, witness. Bookmark the permalink. 2 Responses to They are NOT THE PROBLEM . . .